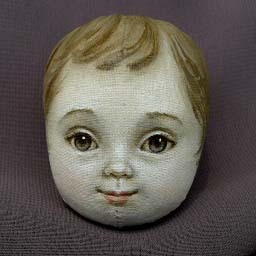 A doll starts with a design and a face. I design the doll, and hand paint a face for each one. 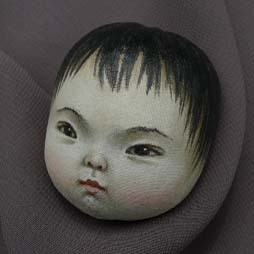 Zinnia-- Her face will be painted in soft sepia tones to complement the early style clothing. Akiko-- An Oriental child . Jacket and pants are based on a Japanese work suit. --Original hand painted one-of-a-kind head. Heads will be created as special orders. When you place your order, you will have a choice of at least two unique faces. --Fabric for the body. Fabric color chosen to match complexion of the doll face. --Pattern for the doll body and clothing. Pattern for the head is included so you can make additional dolls. 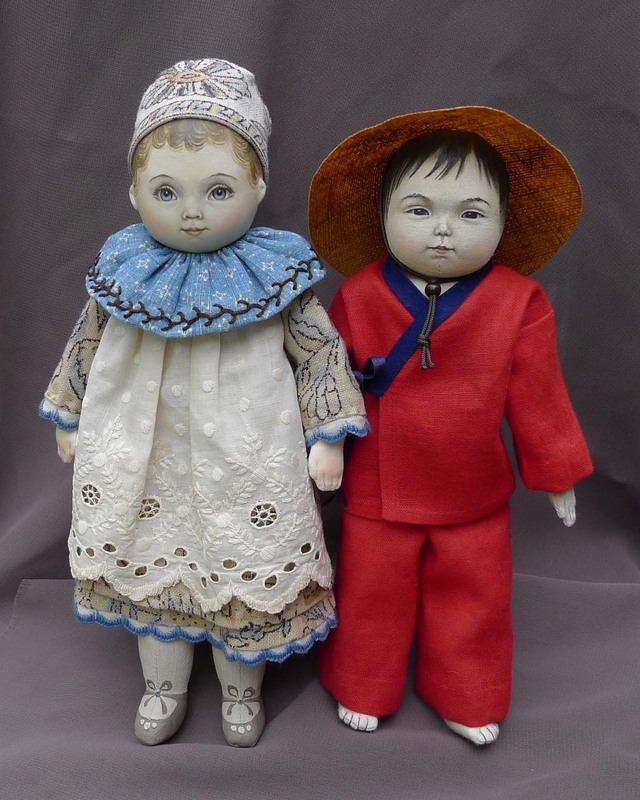 Clothing for both dolls is included in each kit. Zinnia and Akiko Doll Start Kits are $150 each. Add $10 for shipping and insurance (United States.) Please email for ordering instructions. The face is made from a wooden spoon, and the body is a cloth doll. Clothing is from a selection of antique print fabrics. The doll is easy to sew and stuff and the clothes are easy to make. Finished doll is 11 1/2 inches tall. 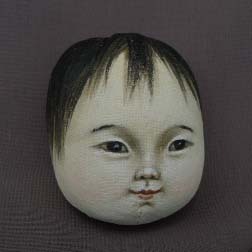 --Original, hand painted, one of a kind doll face. Painted by Susan Fosnot. Choose from photos below. --Patterns for the doll body and clothing. --Fabrics for the body and clothing. Clothing fabrics are selected from antique reproductions. Price for each Doll Start Kit is $95. Please email for availability and ordering instructions. Dolly Varden dolls of the 19th century were known for clothing made from variety of print fabrics. The dolls often had a mask type face.